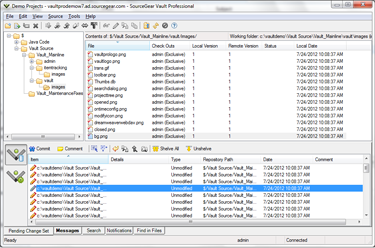 SourceGear Vault Pro is a version control and bug tracking solution for professional development teams. 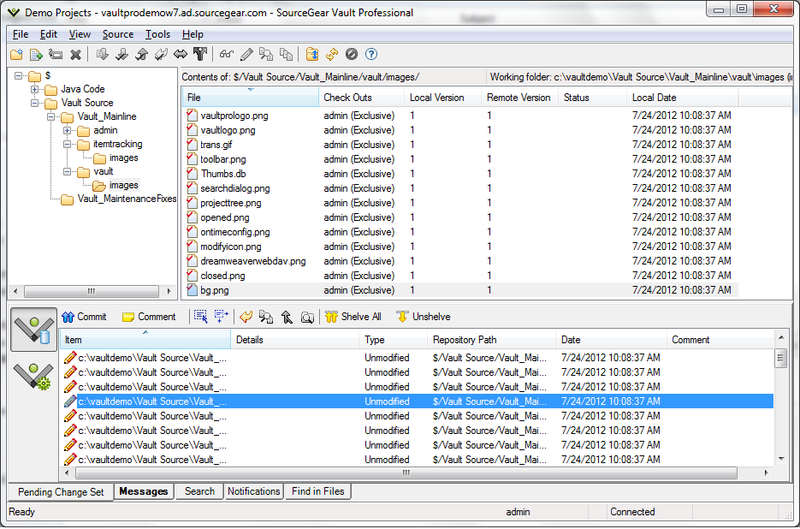 Vault Standard is for those who only want version control. Vault is based on a client / server architecture using technologies such as Microsoft SQL Server and IIS Web Services for increased performance, scalability, and security. Vault is affordably-priced, painless to install, and intuitive to use, allowing your team to be up and running quickly. Vault 10 includes support for Visual Studio 2017, SQL Server 2016, Windows Server 2016, along with the ability to upload large files, File Cloak, and several other features. For additional details, visit our Vault 10 Feature Outline. Vault is free for a single user. In addition, full product evaluations for up to 10 users are available at no charge. Vault is easy to install and you'll be up and running quickly. In addition, we offer regular online demonstrations you can attend right from your desktop!